Slice the onions fine,and dice the tomatoes.Add 2-tbsp oil in a kadhai and heat on medium flame. Now turn off the heat and allow the mixture too cool till room temp,once cooled grind,add a little water to the mixture to grind it to a smooth paste. 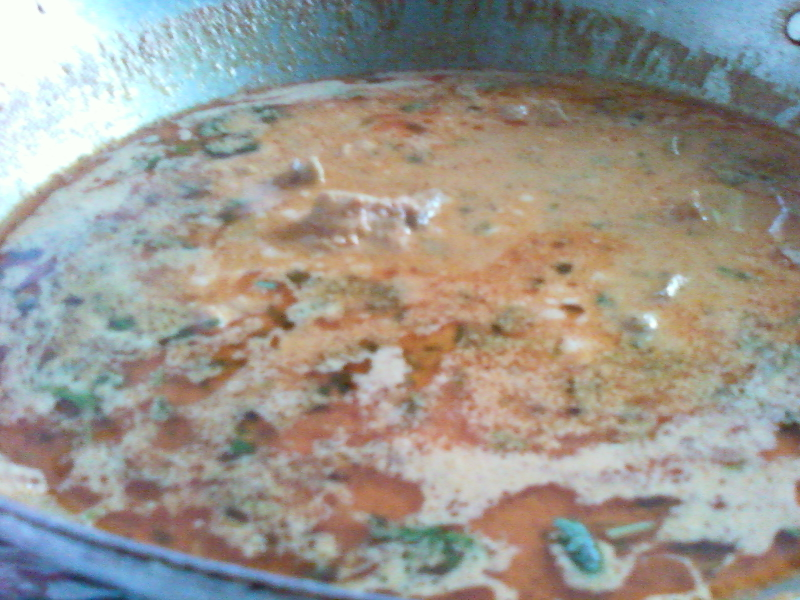 Once done add the ground paste and cook on medium flame till oil comes out from the paste,let it cook properly. Now add the marinated chicken ,stir well and cover with a lid.Let it cook on low flame for about 15 min. If too dry add required amount of water to make a gravy and heat on high flame till you get the right consistency of gravy you like. There you are ....a tasty spicy Chicken curry is ready to eat ..Serve with Roti or Naan .Even Plain cooked Basmati Rice will do. Thank U . Nice recipe . m not too sure how this gravy will taste without adding any amount of salt !!! it really does not have salt or u managed to miss on this important ingredient of almost all the recipes ?? ?